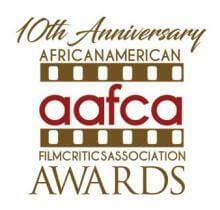 Every awards ceremony taking place this season and each trophy presented engenders a certain amount of pride, but pride was there in extra special doses at the 10th annual African American Film Critics Association Awards show held Wednesday night. For starters, “Black Panther” — named best picture of the year and also one of the year’s biggest blockbusters — disproved once and for all that films starring and about black people don’t do well abroad. $1 billion in global box office would beg to differ, as would Ryan Coogler, who helmed the Disney/Marvel superhero picture and was awarded best director. TVWeek Open Mic writer Hillary Atkin filed a full report on the festivities — click here to read her writeup and see the full list of winners.